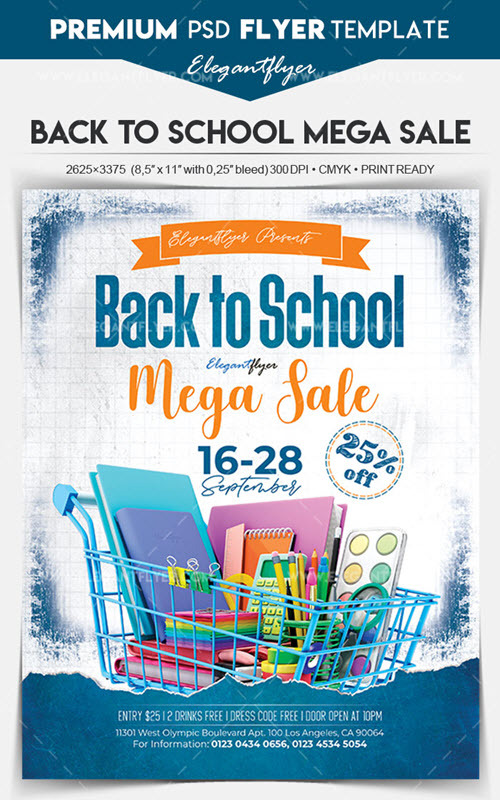 We have got you covered! 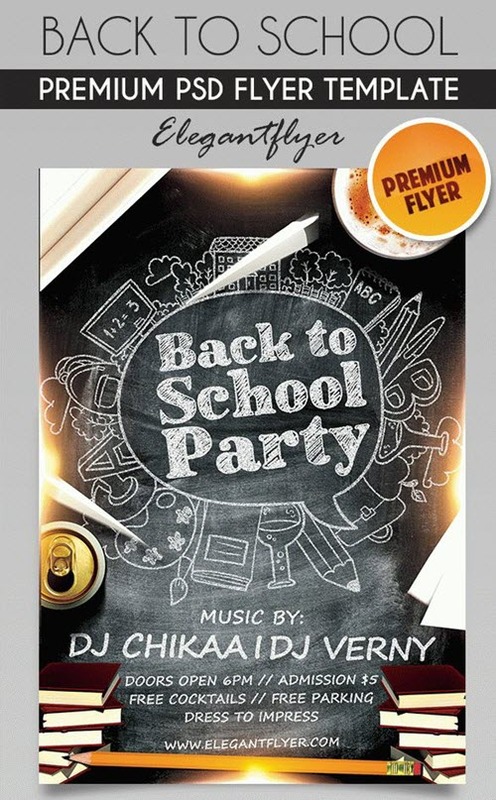 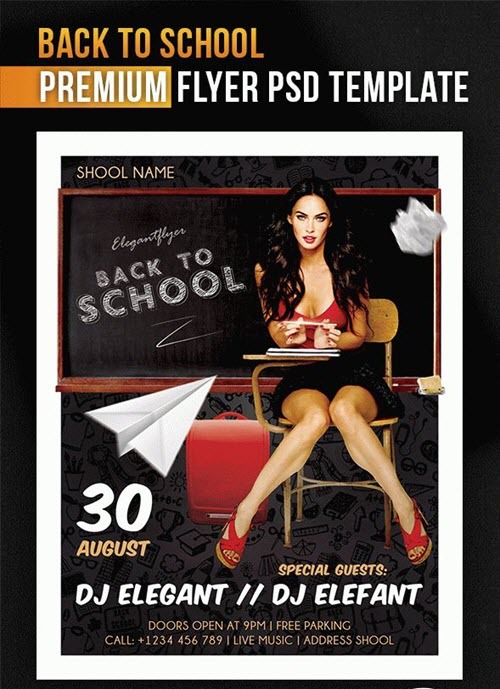 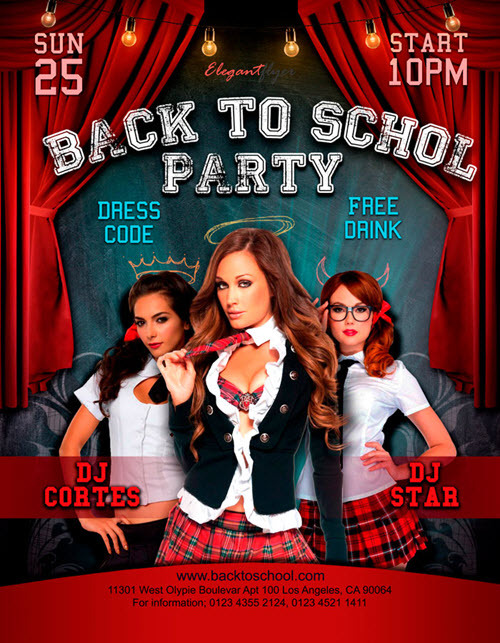 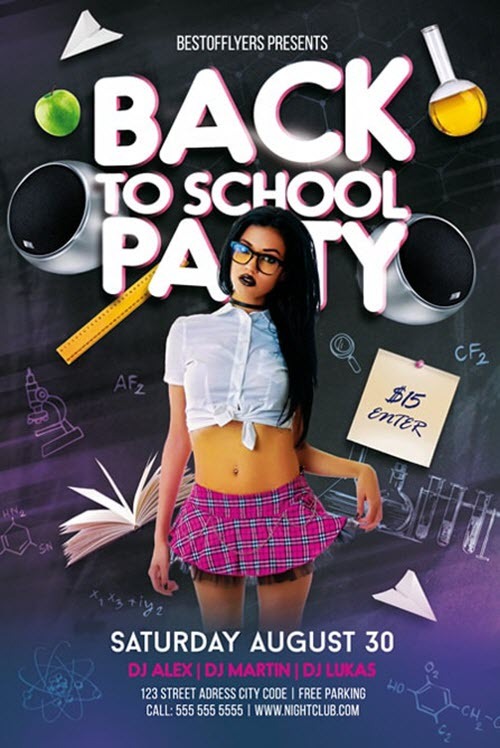 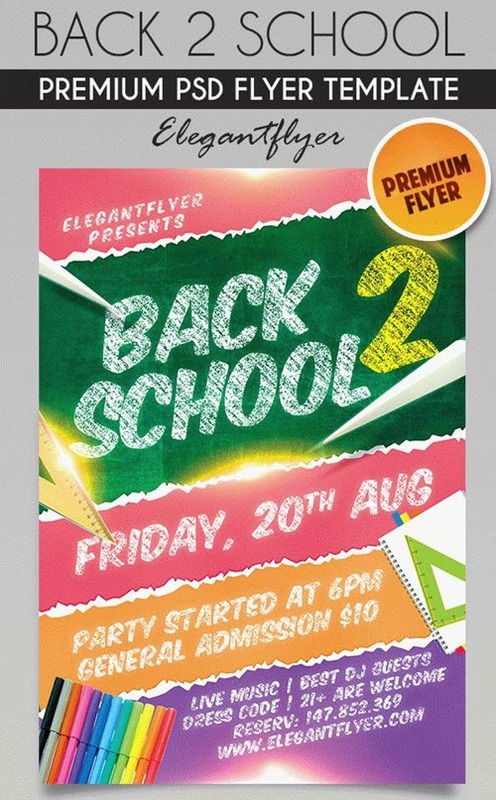 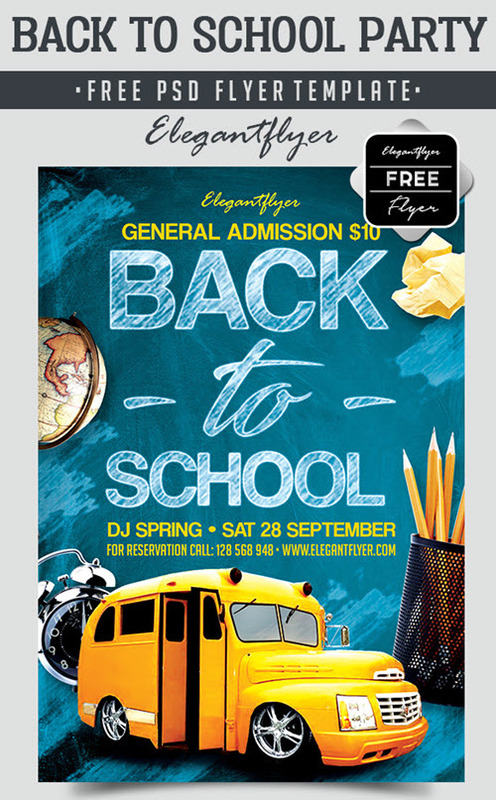 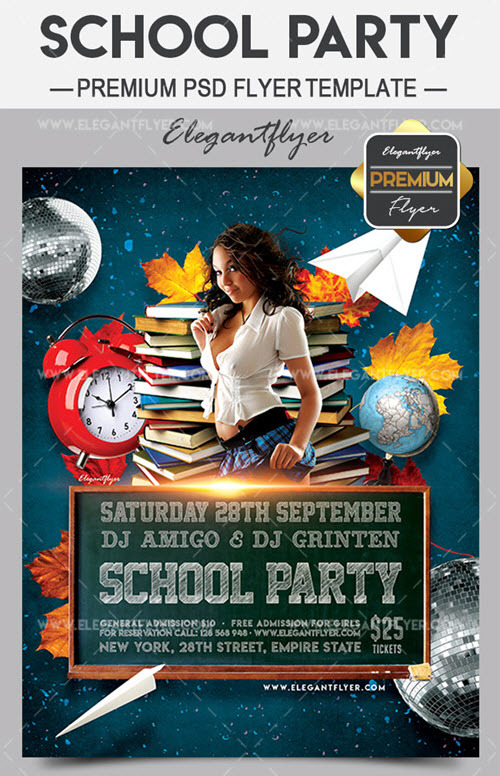 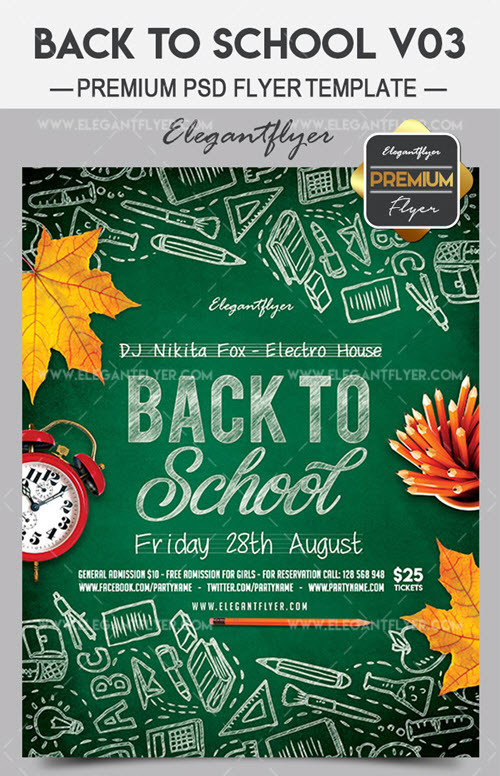 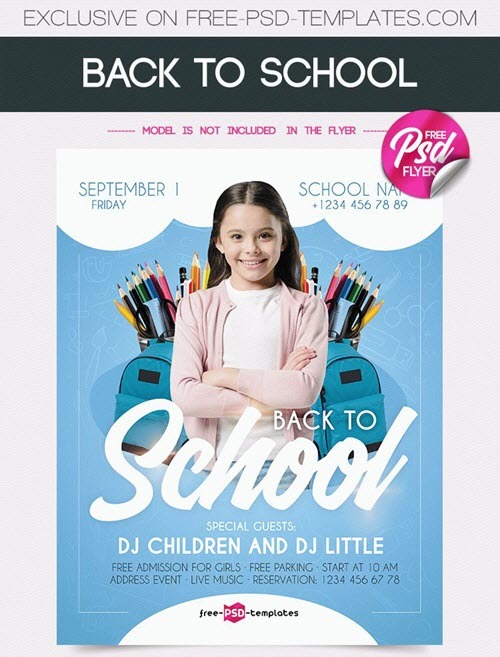 Below are 20 hot new Back to School party flyer PSD templates + dedicated cover page design templates which you can download for free or get at an affordable cost. 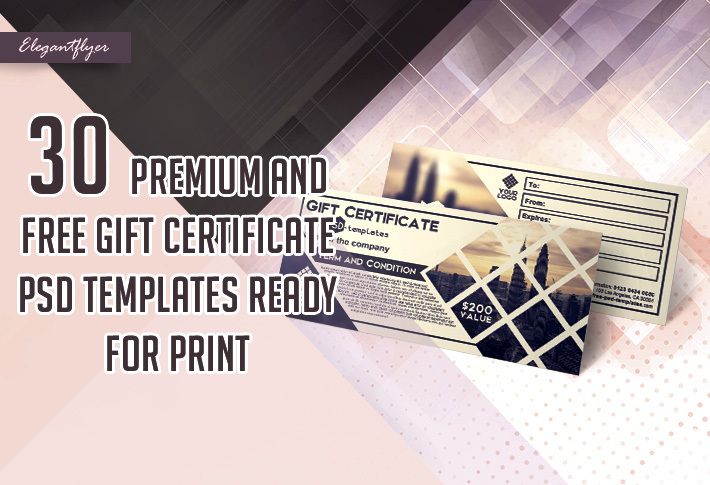 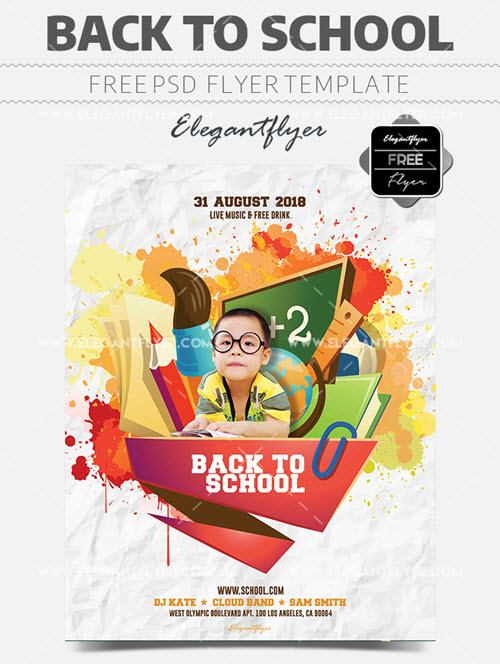 All the PSD templates are provided in a print-ready and customizable format with smart object layers, so you can easily change, add and remove any element without affecting image quality. 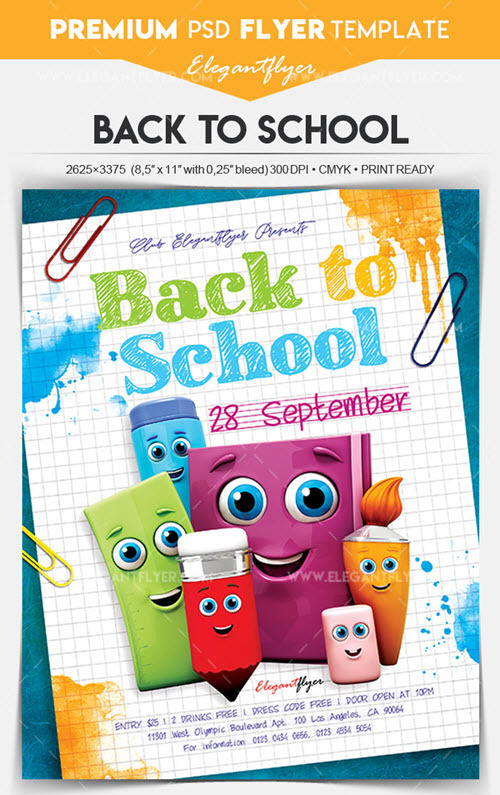 School theme party events become very popular before and during September. 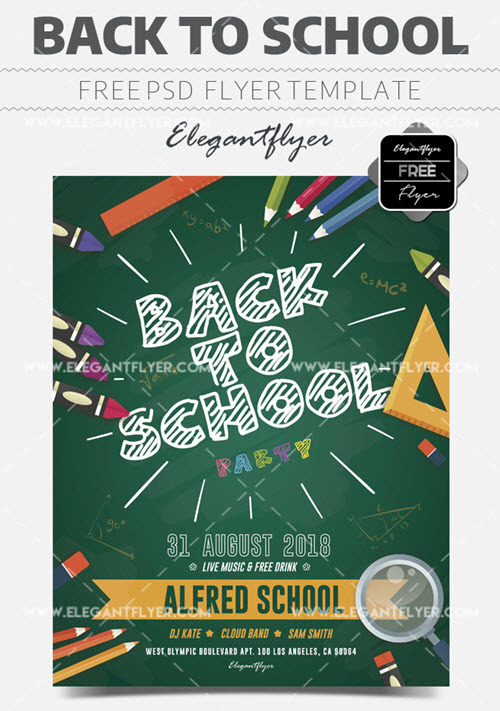 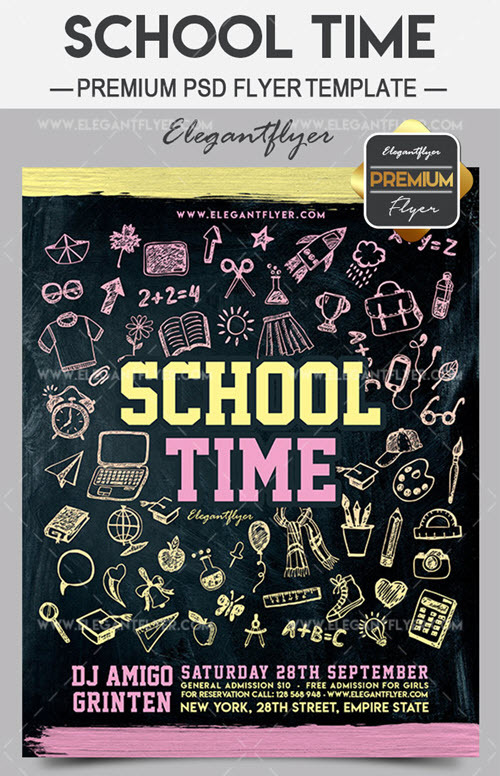 With these premium and free flyer templates for a back to school party, you can rest assured that you don’t have to wait for a custom school theme flyer design too much time. 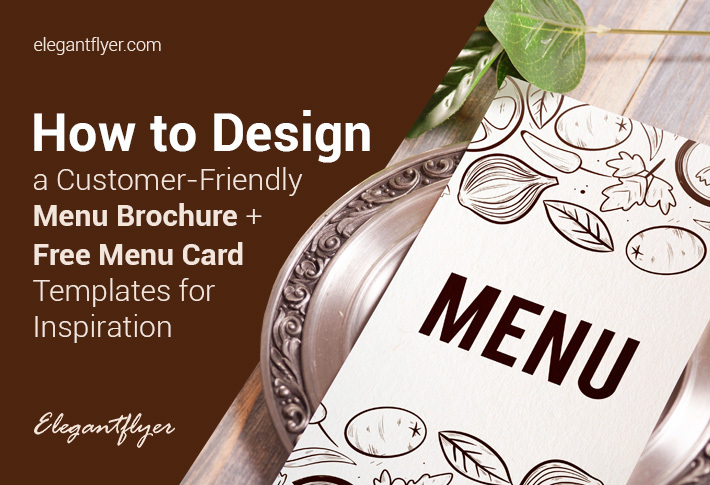 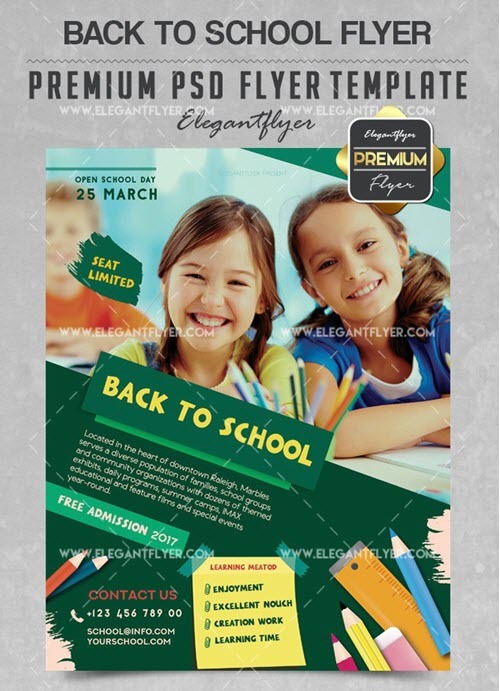 Using pre-designed school theme flyer templates, you save a lot of time and money. 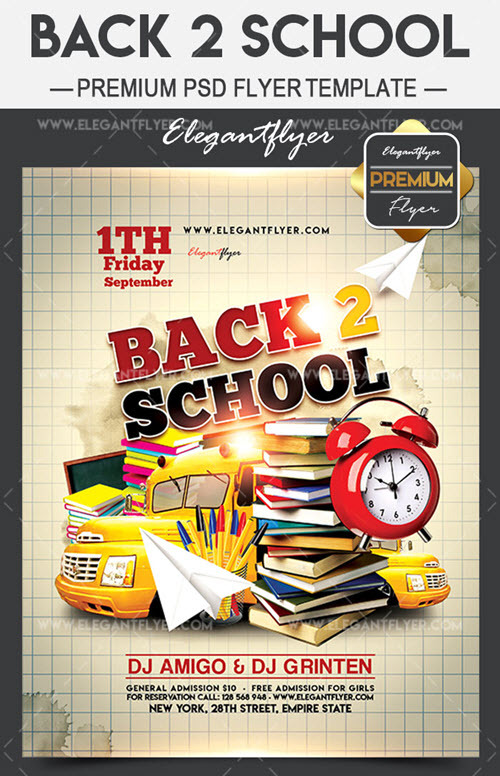 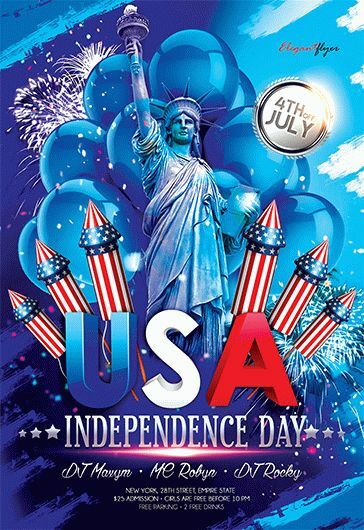 Besides, most of the flyers are provided with social media cover templates designed in one style with flyer templates. 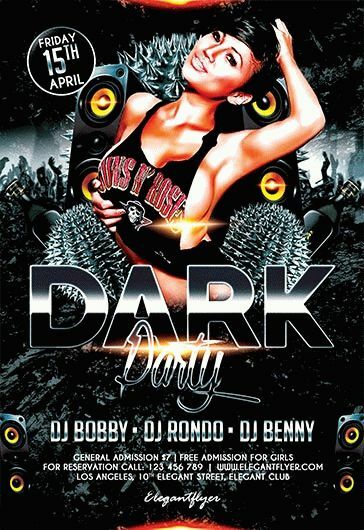 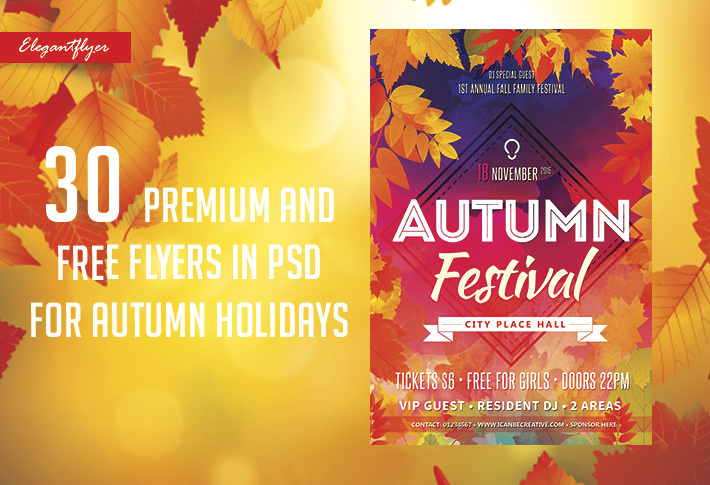 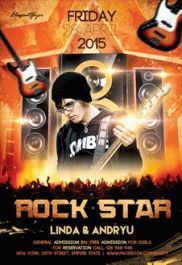 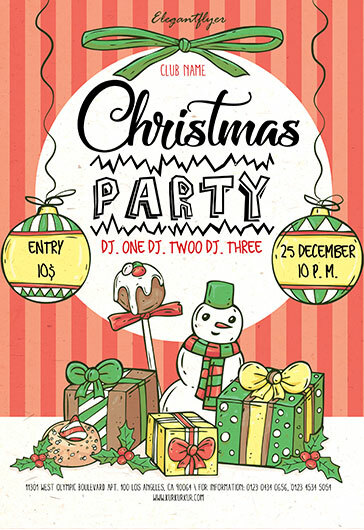 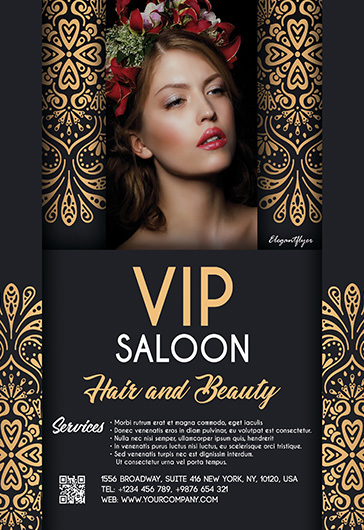 We have a lot of other free event party PSD flyer templates which you can easily turn into a high-end custom event invitation or promotional poster design. 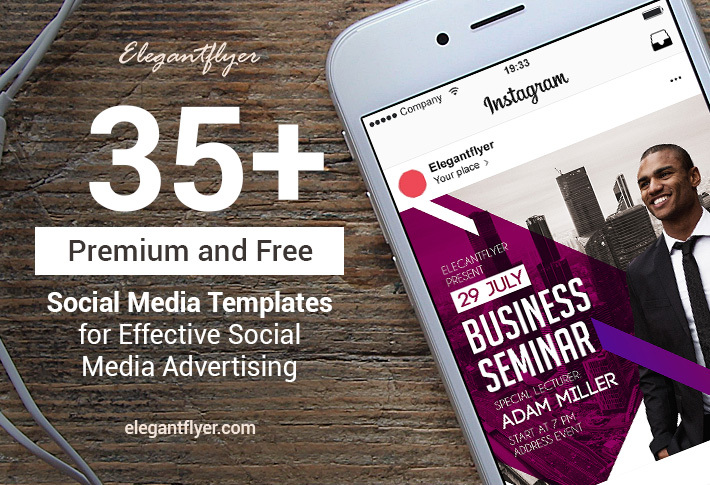 Moreover, we provide on a regular basis free social media templates for Facebook cover pages, Instagram ads, YouTube channel banners etc. 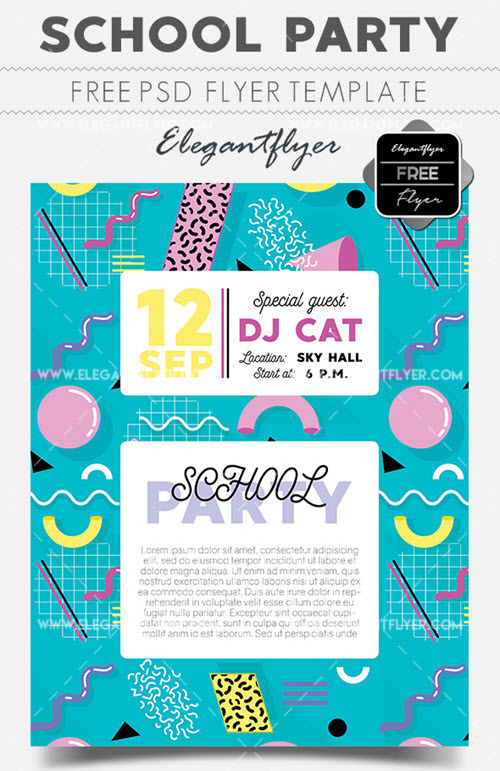 Have you found a suitable flyer design for an upcoming back to school party event? 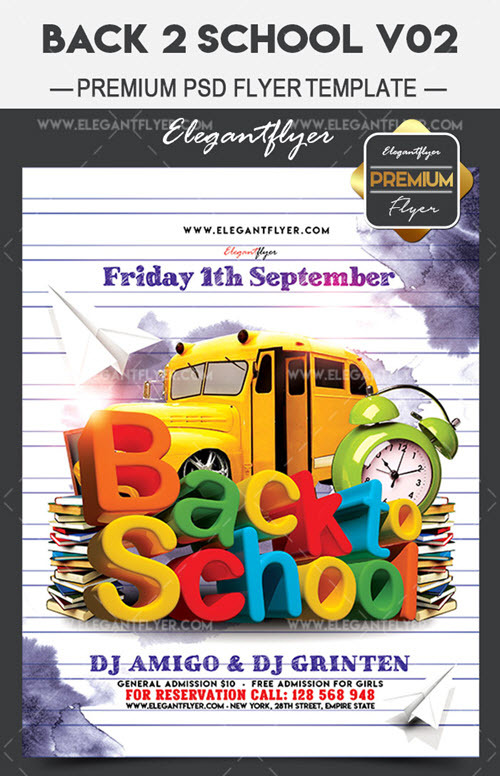 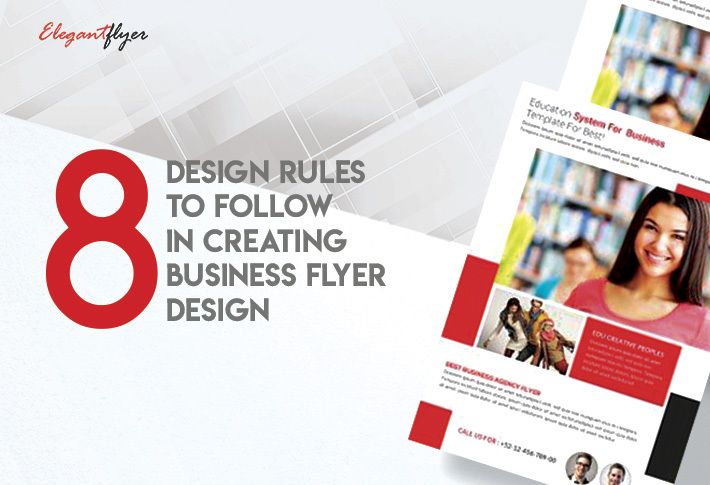 We have more flyer premium and free school theme flyer design templates on our website.